Several Jamaicans, who were arrested in Barbados last week on drug smuggling charges, have been sentenced. The eight Jamaicans pleaded guilty to multiple charges when they appeared in court in Barbados on Wednesday, August 10. They were charged with trafficking, importation, illegal possession of and intent to sell ganja. According to the Royal Barbados Police, the Jamaicans were among 10 persons charged in relation to the incident. All the accused pleaded guilty except for 28 year old Barbadian, Romel Smith, who is to return to court on October 31. 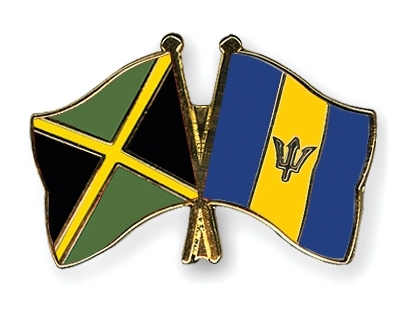 The Jamaicans were given sentences ranging from two to three years in prison. X-rays were used to confirm the suspicion after which the suspects passed the packets of ganja at hospital. The Barbados police say another person who arrived on the flight and a suspect who arrived on Sunday are still at a medical facility. The Jamaicans are Lemard Martin, 21, of Lot 9, Ambrook Lane in Kingston, who passed 125 packages weighing 1½ pounds of ganja; Sheldon G. Christie, 26, of Orange Hill Post Office in Brown's Town, St Ann, who passed 52 packages weighing two pounds of ganja. Also sentenced were Hector Donald White, 46, of 7 Birdsucker Lane in Kingston, who passed 52 packages, weighing one pounds; Nicardo Odane Gordon, 22, of Aboukir Fullerton Park, St Ann. He passed 82 packages, weight two pounds; Deshawn George Campbell, 25, of #15 Bromley Avenue in Kingston, who expelled 215 packages of ganja weighing two pounds and 36-year old Casavia Walker of Lot 11, August Town Road in Kingston, who passed 82 packages.